Drawing books for the beginning student as well as more advanced. Good drawing books are not a substitute for actually putting pencil to paper and practising your drawing, however they can help keep us on the right track with information on techniques and different media. Featured here are books that I hope will inspire, inform and educate - and I've included books on art, painting and colour and I will be adding to the list all the time. Some books are practical how-to, others are inspirational and some are fiction that I've enjoyed and would like to share. Books are very personal and people get different things out of them and one’s person’s must-have is another’s worst nightmare. We all learn in different ways and authors will convey their message in a personal voice that may or may not speak to us. Likewise how the book is laid out – the size of type, number of illustrations and words, use of colour – will all affect whether we are drawn to a book or not. In the light of this, my reviews are just that – personal comments which I hope will be helpful in helping you decide if you want to part with your hard-earned cash. For this reason, where I can, I’ve included the back cover copy and the contents list so you can find out more about what’s inside. If you can get to a bookshop and look at a book before buying so much the better! The books featured are listed here - click on the link and it will take you directly down the page to the relevant title - or scroll down the page. 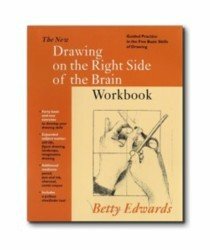 Drawing on the Right Side of the Brain is the world’s most widely used drawing instruction book. Whether you feel have little talent and you doubt you could ever learn, or you enjoy drawing but have been unable to get much beyond a childlike level, this book will show you how to gain the skill that you have always wanted. If you are already drawing as a professional artist or are an artist-in-training, it will give you greater confidence in your ability and deepen your artistic perception. 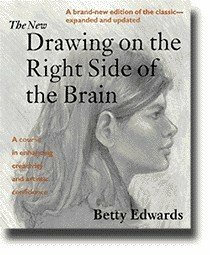 See how the astonishing success of Drawing on the Right Side of the Brain – responsible for teaching millions to draw – can work for you, too. This book is very practical and is packed with drawing exercises, each building on the next to develop the five basic skills of drawing. Throughout student drawings are included, along with many practical illustrations which show the instructions visually and clearly. You are given advice on how to make your own tools to support your drawing. There is also a lot of background information on how the brain works, how we develop our drawing from childhood onwards, plus an introduction to using colour. Interwoven throughout are words on creativity and art by artists, writers, psychologists and more. This is a book you can either work your way through from page 1 to 283 or you can dip in and out of it and always find something stimulating. It is particularly appropriate for any one who teaches art. However, if you are someone who prefers to have less words and something simply gives practical exercises and instructions then I’d recommend The New Drawing on the Right Side of the Brain Workbook (see below). Learning to draw is very much like mastering a sport or a musical instrument: to advance your ability, you must practice, practice, practice. But in practicing, what, specifically, should you draw? This convenient workbook contains the answer: forty basic and new exercises that reinforce the five basic skills of drawing. Each provides appropriate subject matter, brief instruction, sample drawings, a ready-made format in which to draw, and helpful post-exercise pointers. In addition to portrait drawing with pencil, you will explore new subject matter – still life,, landscape, imaginative drawing – using alternative mediums such as pen and ink, charcoal and conte crayon. If you are taking a drawing class, have already received instruction through a book or course, or just prefer to learn by doing, this volume of guided practice will be a permanent record of your work that offers the perfect opportunity to hone your skills and expand your repertoire. Many people are stopped from drawing because they get stuck thinking ‘What shall I draw?’, The New Drawing on the Right Side of the Brain Workbook gives you 40 different ideas of things to draw – not only that, but each will build on your drawing skills, honing and improving them. This book is a large format with spiral binding so it will lie flat easily when you are drawing. It has some familiar Drawing on the Right Side of the Brain exercises such as Picasso’s Stravinsky but also other new alternatives so it’s great if you have already taken the 5-day Drawing on the Right Side of the Brain course and want to practice further or just want some different options to try. Although the book is designed in such a way that you can actually draw inside it, personally I’d suggest doing your drawings in a separate pad. Each of the 40 exercises has full step-by-step instructions, post-exercise remarks and sample finished drawings. There is more than one exercise for each of the five basic skills plus a few using other media such as charcoal, conte crayon and pen and ink. The plastic viewfinder is a bonus though you may want to stiffen the edges by reinforcing it by sticking on some card. This will make it easier to use as it won’t bend. Do you dare to be creative? Somewhere deep inside, we all have a longing to make things – be they drawings, music, hand-knit sweaters, or loaves of bread. Then why do so few us consider ourselves creative? For years, author Danny Gregory told himself he wasn’t, couldn’t be an artist. But when a crisis made him re-examine his priorities, he saw he’d been speeding through life and missing the view. So, in his late thirties, he picked up a ballpoint and taught himself to draw. The result was a whole new perspective on life – which he now shares in this beautifully illustrated program for reconnecting to our own creative energies. He gently instructs in the art of allowing ourselves to fail, giving up the expectation of perfection and opening our eyes to the beauty around us. The result is The Creative License, a wild celebration of amateurism, full of humor, passion and encouragement, sure to inspire every doodler, frustrated writer, wannabe musician, and midlife-crisising executive – in other words, the artist inside every one of us. The Creative License is a beautiful book – oozing colour and creativity, the hand-written type giving it a personal, journal-like feel. Danny Gregory acknowledges his debt to Betty Edwards and other artists and although in some ways, what he is saying is nothing new, he presents it in such a fun and inspiring way that I defy anyone not to pick up a pen and start drawing after you’ve read this book! This book is not about creating beautiful pencil drawings – it’s about capturing the colour and life of everyday life. It’s about seizing the moment – each moment and drawing drawing drawing… drawing in cafes, at train stations, in your lunch hour, in the doctor’s surgery…. Just drawing and capturing your life and others. Great fun, inspiring and highly recommended. 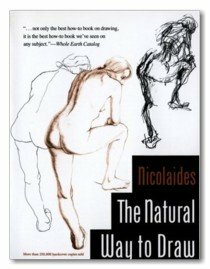 This book was first published posthumously in 1941 – Nicolaides having died in 1938 – with the help of his students and associates. A classic drawing book it has sold over 250,000 copies in hardcover but it is not a book for the faint-hearted and nor for the beginning student. Nicolaides suggested drawing schedule is daunting and I think unrealistic for many of us. However, if you can let go of feeling that you have failed from page 1 because you haven’t done your 15 hours of drawing there is an awful lot to be found here in terms of invaluable practical instruction and I think it has a well-earned place on the drawing bookshelf. If you want to ‘do’ Nicolaides drawing course it might be helpful to get together with a group of drawing buddies and work through the book together, it helps with motivation and it’s useful to see how someone else might interpret the same exercise very differently. A great learning opportunity if you can do it. The contour drawing done in the Drawing on the Right Side of the Brain workshop is based on the work done by Kimon Nicolaides. 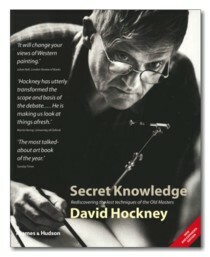 In Secret Knowledge David Hockney explores how artists of the past managed to depict the world so vividly. This book documents his explorations, his discoveries and his opinions as he explores the work of artists such as Caravaggio, Velasquez, van Eyck, Holbein, Leonardo and Ingres. He describes how they made use of innovations of the time such as lenses and mirrors to create their masterpieces. Secret Knowledge aroused great controversy when it was first published (and continues to do so) and the crux of that is the debate about whether it is ‘cheating’ to use tools in drawing/painting. Hockney, rebuffs this view and says rather than attacking the idea of innate genius “optics would have given artists a new tool with which to make images that were more immediate, and more powerful". Hockney concludes that this does not "diminish their achievements. For me, it makes them all the more astounding". We use props in teaching Drawing on the Right Side of the Brain® such as the proportion finder and the viewfinder and people sometimes feel it’s cheating. Our suggestion is that you see them like trainer wheels when you are learning to ride a 2-wheel bike. You use them at first but then you reach a point where they’re redundant and you can fly solo… I think too it’s helpful to know that even the greatest of artists had no qualms in making the most of anything technology could offer them. I love this book for more than the content of the text - and to be honest I can take or leave the controversy - the quality of production is superb – over 400 top-quality colour illustrations, many of them full page and including details of major works, plus gatefolds all provide a wonderful resource for anyone interested in art. You can drown in the colour images…. It also includes Hockney’s correspondence during the two-year period of writing the book as well as examples of his own work. There are detailed explanations of various optical aids – what they look like, how they work and the effects they have on drawing. It includes extracts from writings of the Old Masters themselves, revealing the fascination and interest in the new ‘magick’ of lenses. Overall it covers the visual evidence as well as the textual evidence and there is an extensive bibliography as well. The revised edition includes new material and is available in paperback. 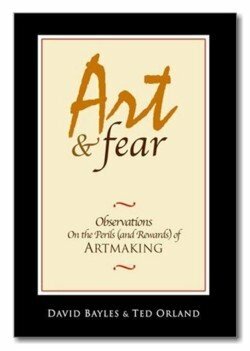 Art & Fear explores the way art gets made, the reason it often doesn't get made, and the nature of the difficulties that cause so many artists to give up along the way. This is a book about what it feels like to sit in your studio or classroom, at your wheel or keyboard, easel or camera, trying to do the work you need to do. It is about committing your future to your own hands, placing Free Will above predestination, choice above chance. It is about finding your own work. You may not consider yourself as an 'artist' and therefore think this book can't offer you anything. I think the labels we impose on ourselves (or don't) are often unhelpful and limit us. This books considers the myth of 'talent' and emphasizes that artmaking involves skills that can be learned. Perseverence and hard work often come out ahead of someone with so-called 'talent'. It encourages you to "learn how to make your work by making your work, and a great many of the pieces you make along the way will never stand out as finished art. It points out that "what separates artists from ex-artists is that those who challenge their fears, continue; those who don't, quit. Each step in the artmaking process puts that issue to the test." It's important to accept that you will do lots of drawings that you don't like - you don't have to like everything you do. You will be disatisfied with your drawings often . It is this desire to improve, learn and get better that drives us forward. We can wait for the 'perfect time' to do something... "when I retire I'll have more time..." "when the kids are a bit older I'll..." "when I have more space I'll..." Well - I hate to break the bubble but there never is going to be a perfect time. The only time to change is now. Ansel Adams said "the perfect is the enemy of the good", ie. if he waited for everything in the scene to be exactly right he'd probably never make a photograph. 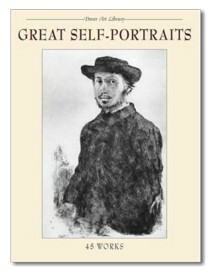 In Great Self-Portraits forty-five works by some of the greatest artists give us an insight into this particular genre. Using pencil, pen and ink, charcoal, as well as engravings and etchings, we are treated to a lesson in the use of different media and how media can be used to affect the tone of the self-portrait, as well as gaining an insight into how these artists saw themselves. Includes works from 15th-century artists as Gentile Bellini, Leonardo da Vinci, and Albrecht Durer to a range of 19th-century masters: James Whistler, Auguste Rodin, Vincent van Gogh, Berthe Morisot, Aubrey Beardsley, and others. See works by Rembrandt van Rijn, Peter Paul Rubens, Francisco de Goya, William Blake, and Camille Pissarro. Dover Art Library books are not great works of production - they have been designed to bring art to as wide an audience as possible by keeping the retail price low. This isn't a book of high-quality reproductions but it is a useful book for learning more about the art of self-portraiture just be seeing how others have done it throughout history. With plates of a reasonable size it's also a good resource for copying works by the old masters and practising your drawing skills. 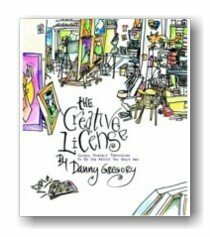 I am a huge fan of Danny Gregory and have already highly recommended one of his previous books, The Creative License (see above) as a great inspiration for keeping an illustrated journal/sketchbook. 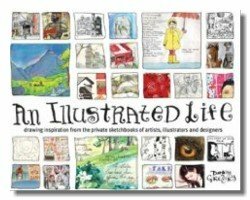 His latest book An Illustrated Life is exactly what it says it is: a look inside private sketchbooks. Danny has gathered together the work of numerous artists and here you can step inside their imagination and see just how versatile a sketchbook can be. This is a book to inspire and delight anyone interested in drawing or recording life. SEEING/DRAWING is a way of contemplation by which all things are made new, by which the world is freshly experienced at each moment. It is the opposite of looking at things from the outside, taking them for granted. "What I have not drawn, I have never really seen," says Frederick Franck, and he goes on to show that "Once you start drawing an ordinary thing, a fly, a flower, a face, you realize how extraordinary it is - a sheer miracle." 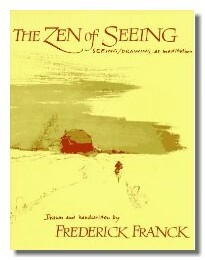 For Franck, SEEING/DRAWING is a spiritual discipline, a "Zen method" admirably suited to the active temperament of Western people. Even if you have never thought of drawing, if you claim to be one of those people who cannot draw a straight line, this book will make you want to pick up a pencil and begin... to SEE. Anna says The Zen of Seeing brings together my two main interests - drawing and meditation. Franck shows how drawing can allow us to experience the world with fresh eyes.